? Brought to you by Front, the inbox for productive teams. Check out our collaborative inbox app used by Shopify, HubSpot, and more than 4,000 teams worldwide. You just received a job offer from your favorite early-stage startup. Congrats! Now comes the tricky part — figuring out what your compensation package really means. Accepting a new job offer is an incredibly personal decision, and compensation is only one factor. Since startup compensation can be particularly confusing, we wanted to share a tool we built here at Front to help candidates make informed decisions. Your typical startup compensation package consists of a combination of salary and equity. While it’s easy to understand cash salary, the equity portion can be difficult to assess, particularly for someone new to tech or startups. Startup equity often comes in the form of a stock options grant, a fixed number of shares that the employee will be able to buy (also called “exercise”) at a pre-determined price (the “strike price”) after meeting certain vesting conditions. However, these two numbers alone — your stock options and strike price — do not actually convey your package’s worth; factors like the number of shares outstanding and investor dilution greatly impact the value of your options. On top of that, startups are inherently risky. The value of equity is neither certain nor fixed. The difference between the worst case and best case scenarios can be huge. At a minimum, employees need the number of shares already issued (i.e. the “fully diluted shares”) to compute the percentage of the company they can eventually own once they exercise their options. Early-stage startups that don’t provide that number are at best negligent, at worst misleading. Without this number, it’s nearly impossible to evaluate your stake in the company (10,000 options out of 1M shares is a greater stake offer than 10,000 options out of 100M shares). Once you have the number of fully diluted shares, the percentage of the company that the employee could own is fairly easy to calculate. You can then calculate different scenarios based on values of the company at the time of “exit” (i.e. IPO or acquisition) and your particular offer numbers. However, some dilution should be accounted for, as it is likely that additional shares will be issued in the future to new investors. All of this is easy to say, but a little less easy to do. 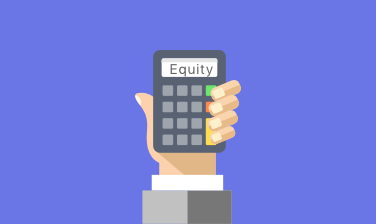 After getting frequent equity questions from candidates, we decided to build an equity calculator to help them understand their offers with Front. Candidates have told us it’s been very helpful, so we wanted to share it with the world: startup equity calculator . Note: this is a generic version of the calculator and in no way reflects data specific to Front. Edit the fields to add your own offer numbers and company information (i.e. # of stock options, fully diluted shares, etc). You can also play with the dilution and exit values to get a better understanding of how various scenarios would affect the value of your package. We hope this tool helps candidates make better informed decisions (and gives them a glimpse of the transparency they can expect to see at Front ?) We’re hiring! The code for this tool is available open-source on Github: https://github.com/frontapp/compensation-calculator. Gwen Waichman Recruiter at Front.